Book Bus Tickets online or over the phone or through your mobile and Book your return tickets Online. You can book bus tickets using credit,debit cards and net banking facility. Door delivery of bus tickets @ Rs.35 for most locations and Rs.50 for select locations in and around Chennai. Home delivery service of bus tickets in major cities. Book bus tickets online with over 500 bus travel operators. Return bus tickets reservation . Cancel your bus tickets online . Book bus tickets online for over 5000+ routes across India . SETC Operates Special Buses During all Important Festival Seasons for the Conveniance of travelling public. None of the above websites allows you book online for SETC buses. This is rediculous. This is not the intended solution. Should have a solution for online booking, will make it better. but how to register a new user for www.tnstc.in? TN Govt says,we are number one in every thing..But in this case.....we are ........? how to get id and password for online bus ticket reservation? They Give Fake Details.SETC Should opon Online Reservation Services. Thank you for your nice post.I really enjoy to visit your post.Good job. and slagness it has to be like ambu 108 . This is a great blog post with useful tips on Bus travel, I am regular reader of blog, I will refer this blog post to my friends. I found this is also a useful site for Online Bus Tickets. Travelyaari.com offers cheap online bus tickets. You will find Bus tickets to over 1000 routes at cheapest prices. Search and book bus tickets online. Travelyaari makes bus travel easy, fast and reliable. May kindly introduce online booking facility for Buses as on grounds as below. 1. Part of Bus say 25% seats can be made online for commuters, a fee of 30 Rupees can be charged. In this way there will be additional income to the corporation. 2. Online Bookings can be available up to certain timing before departure of Bus. 3. By having only 25% seats on online booking other passengers will not have disappointment in seeing the Bus full. 4.There can be additional buses only for online booking these buses can be parked elsewhere in bus terminus as they may be disappointing to other commuters. 5. In general there will be enormous commuters these online booking will be serving in the band where these commuters cannot use High Priced Private Transport between cities, there by dis-enabling private operators who mercilessly rob commuters who are trapped as there is no Public State Owned online bookings. 6. The Railways is too quickly booked and they have surplus profits. 7. 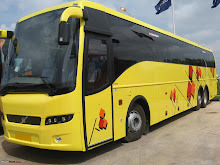 The Corporation can earn/mint money by introducing online booking and also introduce better standard buses as optional. 8. Energy saving by plying vehicles too slowly in the 21st century makes the corporation's image as a service of the 60's. By introducing the online bookings corporation can earn enough money and the surplus can be used to evade plying bus too slowly. 9. Most of the commuters are employed in private sectors and given a computer with internet connectivity and are expected to sit in their seats from 0930hrs to minimum 1930hrs, all offices are having access control system which threatens to monitor ingress & egress always. Persons who are out of office on duty is also monitored excessively by Mobile calls from office. On weekends spouses expect their spouses to be nailed next to them. The chances of person going to the booking center and book tickets has vanished. From contracted labour to CEO 80% of population in capital city is from south and interior south regions where no private operator plies. All laymen commuters are paying extra hard earned money to private operators. 10. Festival seasons private operators are robbing even meager bonus earned by some commuters. The suggestion is by virtue one among the millions, but it emphasizes the large gap emerged for there is no online booking by govt operated service which enable money hungry private operators to rob layman's pocket. where laymen is about 90% in this country. Submitted for your kind perusal the online booking if introduced will be a instant hit better than the railways. Ist Super Delux Introduced in early 1970's Choclate colour Buses. Chennai / tamil nadu is far far behind when we compare with her counterparts like Bangalore or hyderabad .. It takes long way to reach them in terms of digitisation. They have very good online reservation system for booking bus tickets. Particularly KSRTC online reservation is very robust ..
Come on … Chennai … with good online bus tickets reservation system on warfoot basis ..
We .. Chennaites … eagerly waiting for this .. If they provide there will be big loss to redbus in tamilnadu and other private provider of buses who pay taxes in huge. that is the matter. After karunanidhi dies it may happen. நண்பர்களே,இது பயனுள்ள பதிவு,- தேனீக்கள் தன்னார்வத் தொண்டு நிறுவனம்- சத்தி & தாளவாடி..நன்றி!-BY / paramesdriver.blogspot.com / tntransport.blogspot.com / konguthendral.blogspot.com.....Thank You! fares for Bangalore, Chennai, Coimbatore, Delhi, Goa, Hyderabad, Mumbai, Pune , Rajamundry, Tirupathi, Vijayawada, Vizag and for all important cities in India. We thank the commissioner of TNSTC & all Staff Executives and Chief Minister Ms J Jayalalithaa for starting the most wanted online booking in TNSTC which will be beneficial for all common middle class population. Whats the use of just starting a website when the server does not work most of the days....... Its pathetic that the TNSTC cant uphold its services that have been started so late... The KSRCTC website is very good and friendly too. These people ( TNSTC) just start it and there is no looking back whether it is up and functioning.!!!!!! Thanks for this nice blog..You can also get bus booking online at cheap rates int his season. Online reservations are becoming a very popular method for booking hotel rooms. Travelers can book rooms from home by using online Computers. Nice post! I enjoyed reading this informative post. This is very useful. Wonderful blog. 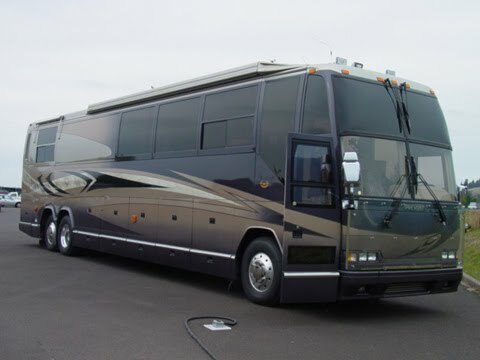 Travelers may come from describing of the site and online bus booking is very easily..
Hi there! This is a nice article to read. Honestly, most of the travellers having a difficulty in online bus tickets booking . Nice to know that there are things like this which can help those people with this kind of problems.